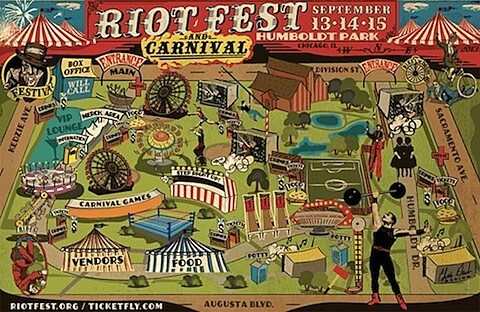 Riot Fest Chicago is set to take place from September 13-15 this year in Humboldt Park. Their initial lineup includes Rocket From The Crypt, The Dismemberment Plan, Guided By Voices, Motorhead, Blondie, Public Enemy, FLAG, Bad Religion, Dinosaur Jr., Bob Mould, Screeching Weasel, Mission of Burma, GWAR, Quicksand, and many more acts. Three-day passes are on-sale now, and single-day tickets will be available soon.